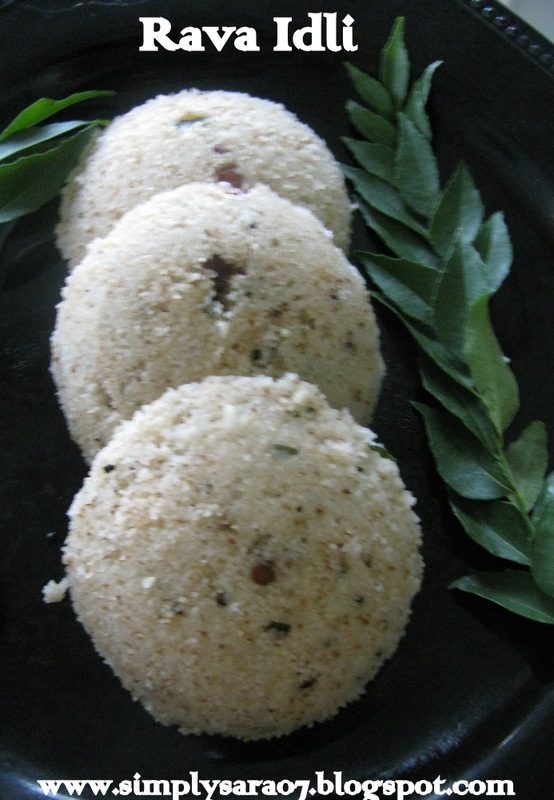 Delicious idly.My favourite one..had it for my dinner yesterday..yummy yummy..
Love rawa idly with eno,makes it very soft and fluffy,loved ur version! 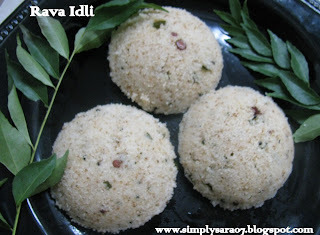 never tried rava idly...looks very soft and perfect! My favourite idly, looks soo prefect..
Love this Rava Idli..Looks very soft and good. Idli is my fav breakfast..
easy to prepare and very healthy..